When choosing a concrete stamp design, start simple. Look at the building the concrete will be accenting. For example, if the building is made of brick, then using a brick pattern in your patio, sidewalk or driveway would be an obvious choice. 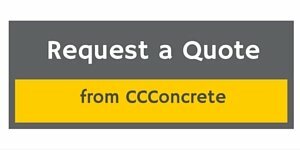 Most concrete contractors have stamp choices that are similar to brick, cobblestone, tile, slate, or stone. 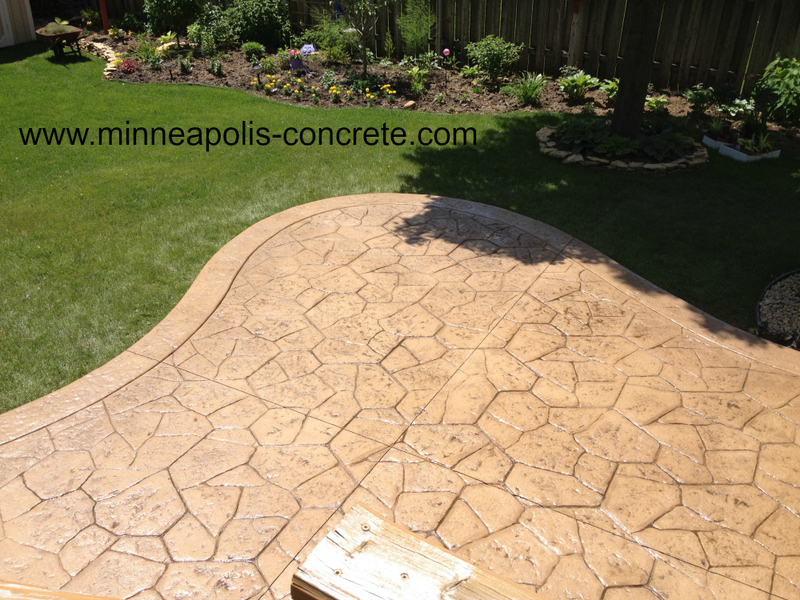 Your concrete design can incorporate multiple patterns (although this may cost more). If cost is a factor, one option is to only stamp the borders with the rest in standard concrete. 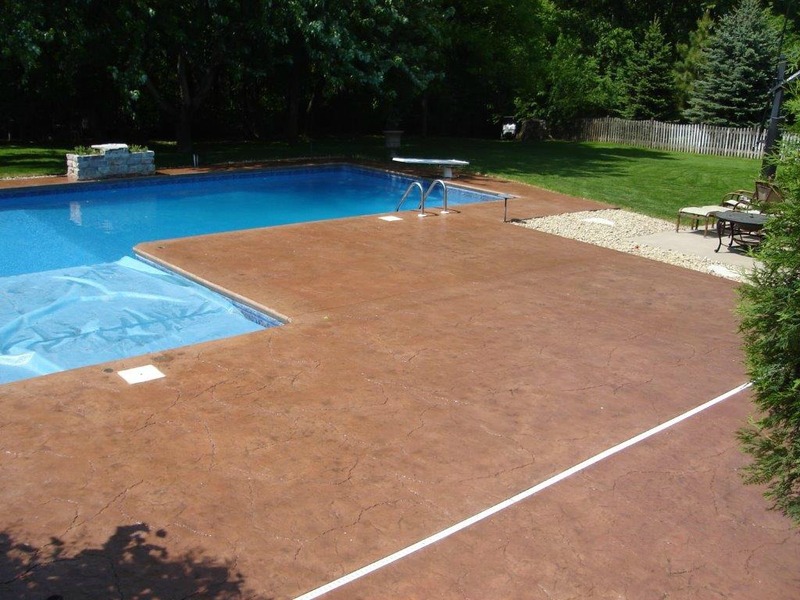 Below is a gallery of popular patterns that Cornerstone Custom Concrete offers. Italian Slate is a pattern that mimics stone textures such as bluestone or slate. It is a classy, rich look often used in Vegas hotels that seek to copy luxurious Italian decor. 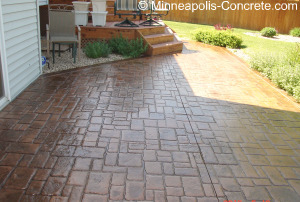 Because it is a seamless pattern devoid of grout lines, it's practical to use on Minnesota driveways and sidewalks. Snow shovels and plows don't get caught in grout lines and cause surface damage. Fractured Earth is an aggressive seamless pattern. There is an abundance of texture, even though there are no grout lines. It is ideal to cover any potential flaws in the surface that may come up over time as the appearance mimics the variations found in the natural ground. 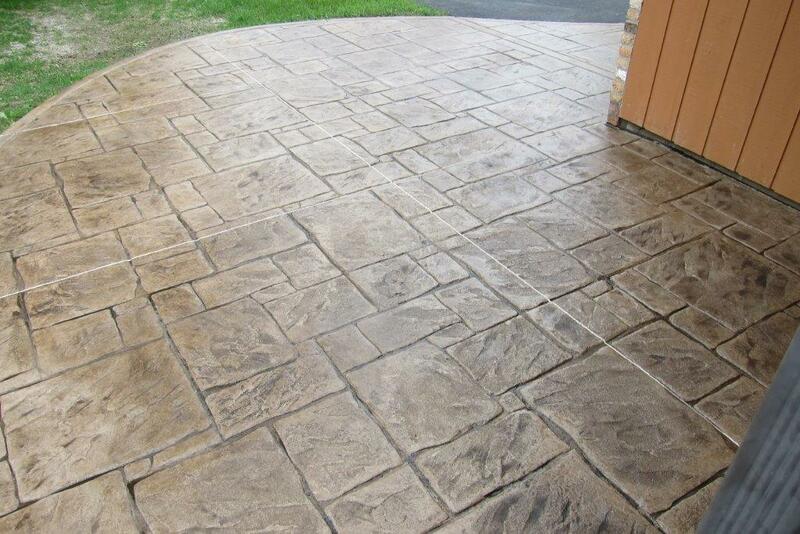 English Yorkstone is a pattern with grout lines. It's a favorite for patios. Its texture mimics natural stones. Even though the shapes are squares and rectangles, the edges are rounded and broken to give a hand-cut appearance. This pattern looks great for both classic and modern styles. Fractured Slate gives a formal appearance. All the lines are straight, clean and symmetrical therefore making a pristine look that communicates precision and excellence. It's a favorite for front steps and entryways because of the order it conveys as one enters the home. This pattern works well with overlays because of the depth of the grout line. Random Cobblestone melds old-world with 21st century by combining the old cobblestone pattern found in the traditional streets and paths of Europe with a random arrangement of this type of stone. 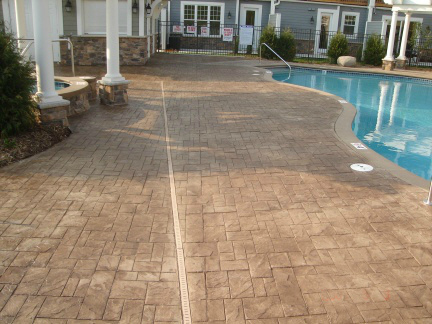 Its application pairs beautifully with patios, paths, entryways and steps. Canyon Stone pattern is popular for its free-flowing, relaxing, and leisurely feel. The stones are asymmetrical in appearance and mimics flagstone. Use this pattern as an outdoor living room intended to make people feel like they are on vacation. 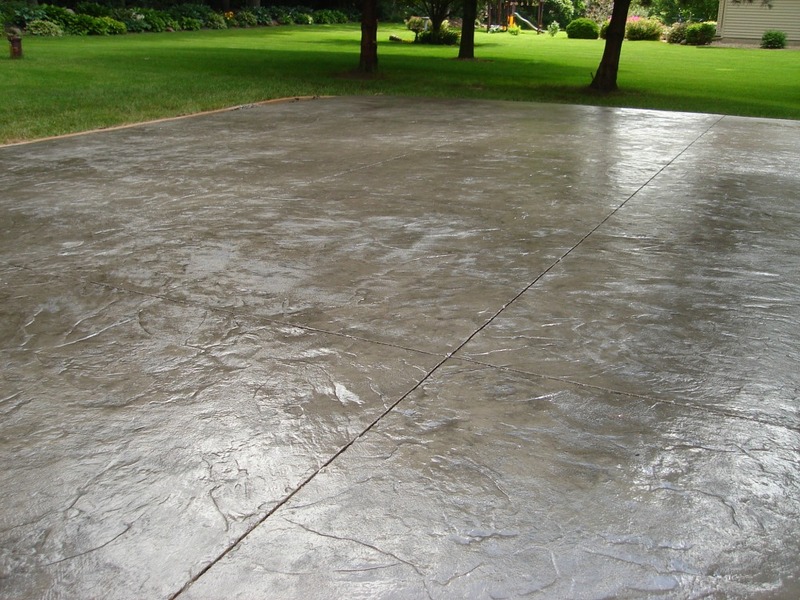 Although the above pictures are some of the most popular stamped concrete patterns, there are literally hundreds of options. Click Scofield Stamp Patterns to see the possibilities. For even more additional patterns, click Proline Stamp Patterns.